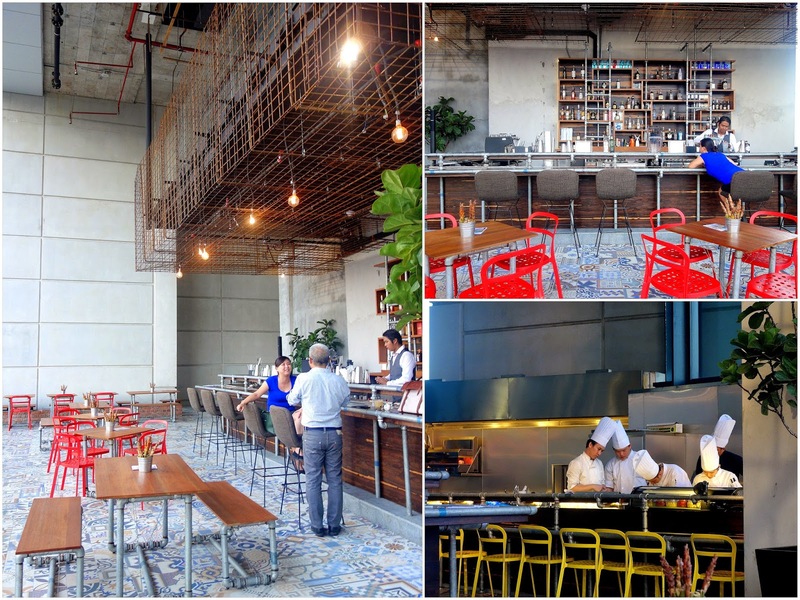 Irresistible strains of South American fever have spread this month to the upper reaches of Troika Sky Dining, where few customers will be immune to the culinary contagion unleashed by Fuego, Eddie Chew & Chris Bauer's latest establishment. It's one of 2014's best new eateries, certain to capture extensive notice in the weeks to come. 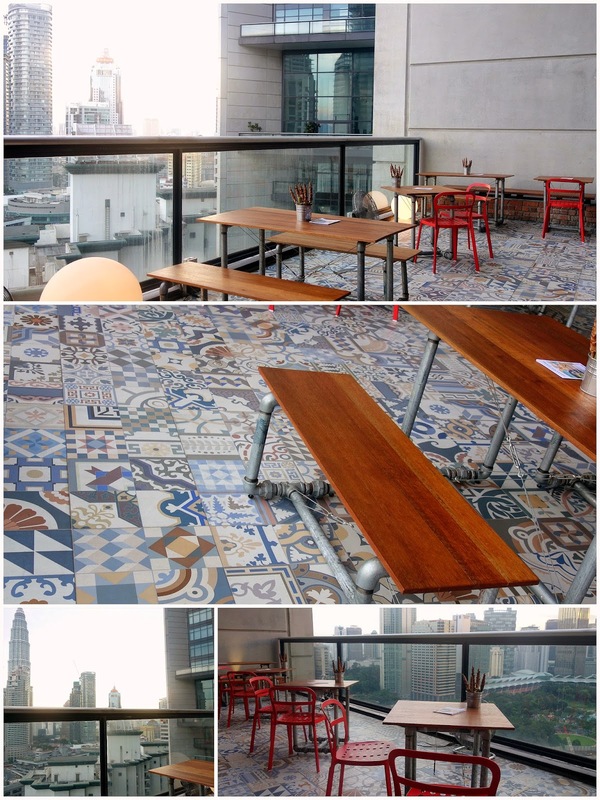 This alfresco bar on The Troika's 24th floor _ part of the family that includes Cantaloupe, Claret & Strato _ has been two years in the planning, inspired significantly by 'asado' barbecue-style feasting. 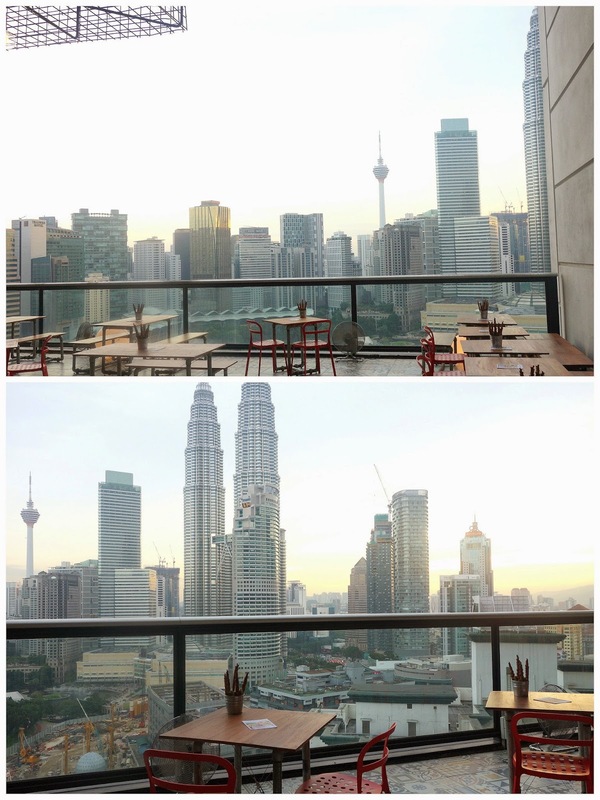 But it's evolved into even more than that, thanks to a menu that comprises some of KL's most cunningly creative tapas & cocktails. Fuego's selection seems to have been created with a twinkle in its founders' eyes. No fewer than five types of guacamole are prepared fresh to order by a 'specially trained guacamole chef' (!!! ); this one is mixed with Italian parsley, red chillies, tomato, garlic & lime, topped with salmon roe & partnered with veggie crisps of sweet potato, yam, banana & lotus root (RM25++). Other variations include spicy guacamole, olive-&-caper guacamole & anchovy guacamole. 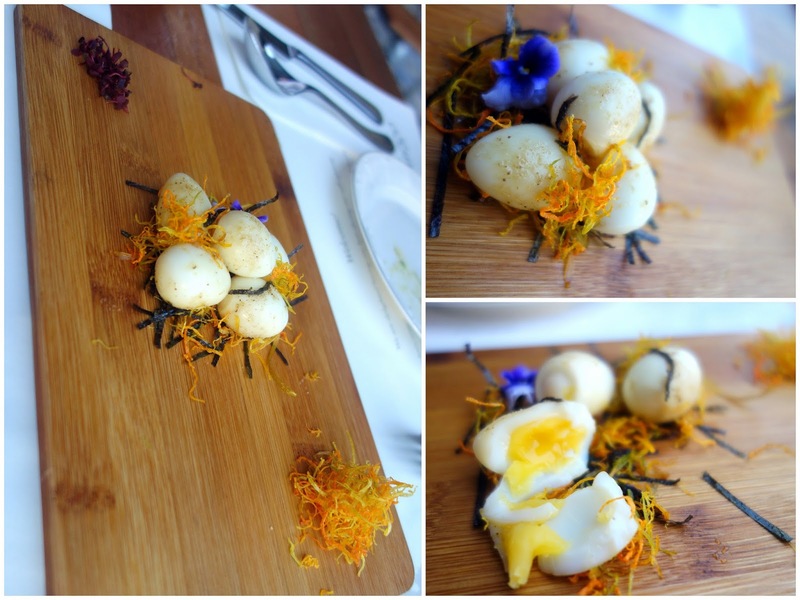 It's smoke, not smog: Smoked quail eggs on crispy nests of seaweed strips & veggies, topped with spices & herbs. RM25++. Extraordinary eggs-tasy; the combination proves nicely nuanced in its savoury flavours & part-soft, part-crunchy textures. This kitchen truly loves its smoke (no surprise, since Fuego's tagline is 'flamed & grilled'). What lies beneath this lid? Ravishingly presented snails with parsley salsa, garlic crisps & pickled garlic. RM30++. A top-flight recipe. Cinnamon-dusted churros secure a very special twist here too, partnered with a creamy-crispy, sweet-savoury accompaniment of salted caramel espuma & dulcey cremeux that's a knock-out for some of us. RM35++. Leche frita, traditional fried milk croquettes embellished elaborately with coconut pudding, lime jelly & fresh mango. RM25++. 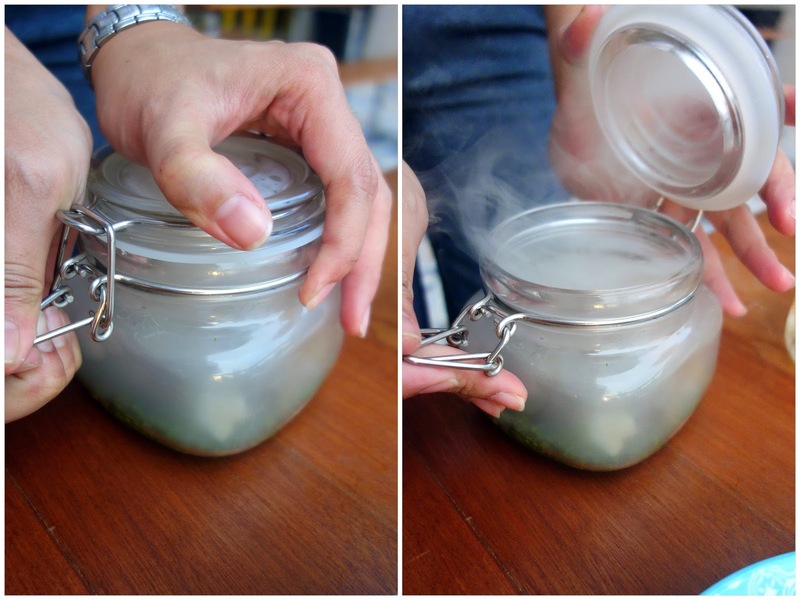 Don't skip the inventive cocktails. 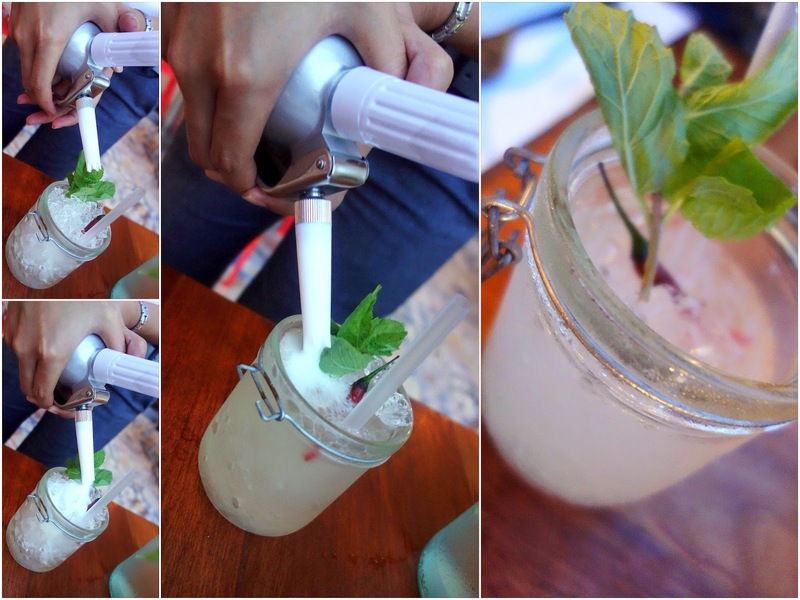 The Mojito sees a makeover: 'Instant rum' with lychee & chilli. RM40++ (ouch for our wallets). 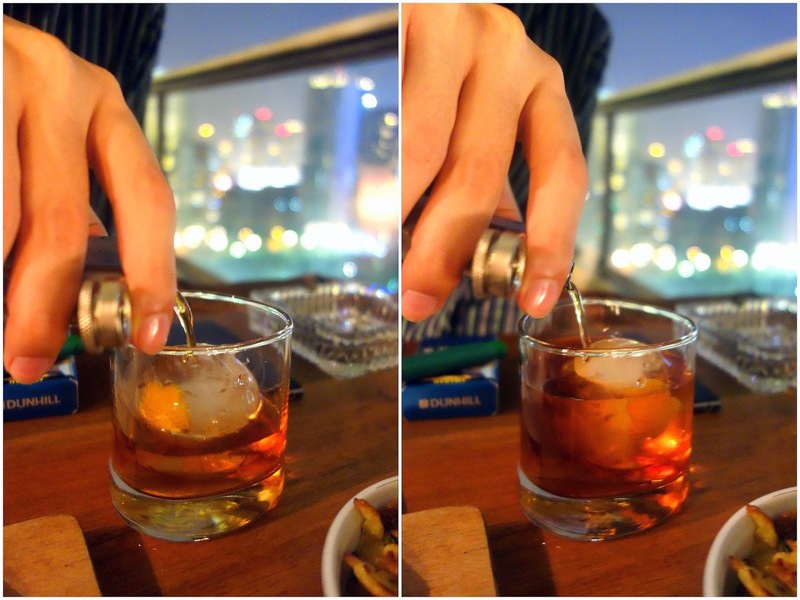 We ordered a Negroni (RM38++), but we received a glass with an ice ball & a Barbara Taylor Bradford novel? 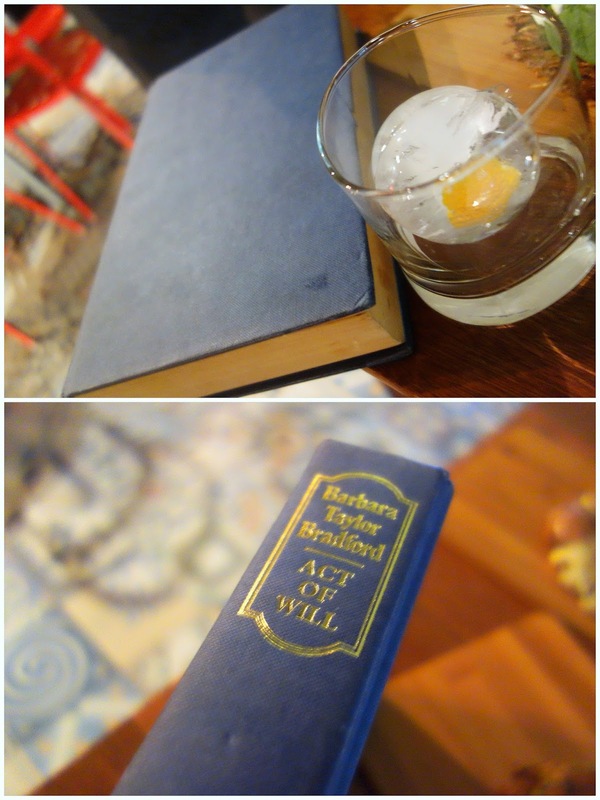 Secrets of the book: 'Act of Will' conceals a flask of bourbon. Aha! Wish we could keep this book; it could prove mighty useful. Mixed with Carpano Antica Formula sweet vermouth & Campari for several satisfying sips. Other outlets offer still & sparkling water, but Fuego insists on doing things differently. The water here's laced with options of either cucumber & thyme or strawberry & basil. RM8++ per bottle, nevertheless. 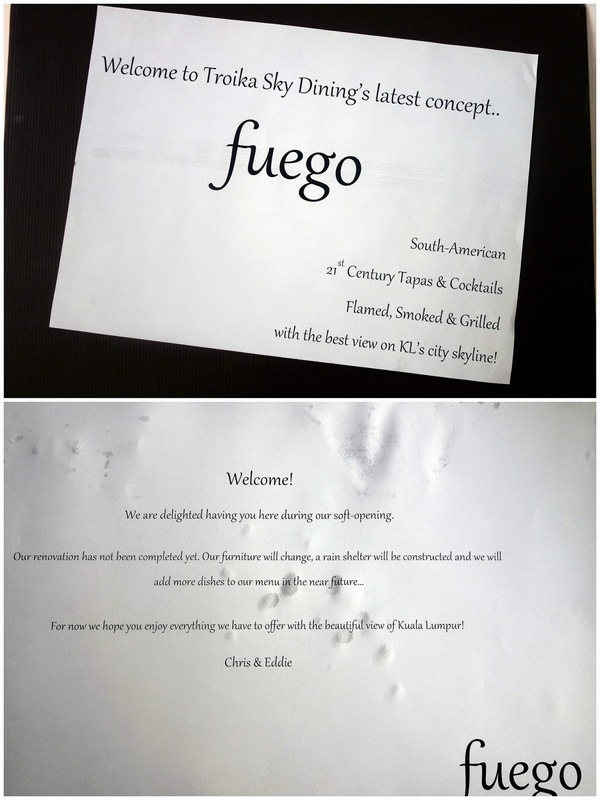 Note: Fuego's still in its soft-launch stage, so its furnishing will change & further renovation is being planned (expect a small lounge to surface above the bar). But it might be wise to head here soon before the crowds come (& before the haze returns). Fuego currently opens everyday, 6pm through midnight (last orders at 10:30pm). Sausages to sambal. Muffins to marshmallows. Peanut butter to mango chutney. Cornflake ice cream to honey aloe yogurt. 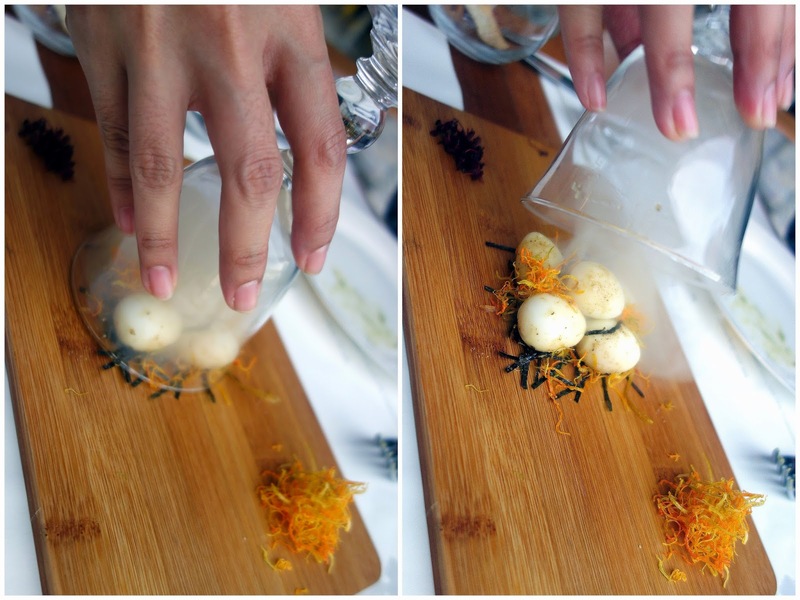 Lavender-laced lemonades to lychee-&-guava juices. 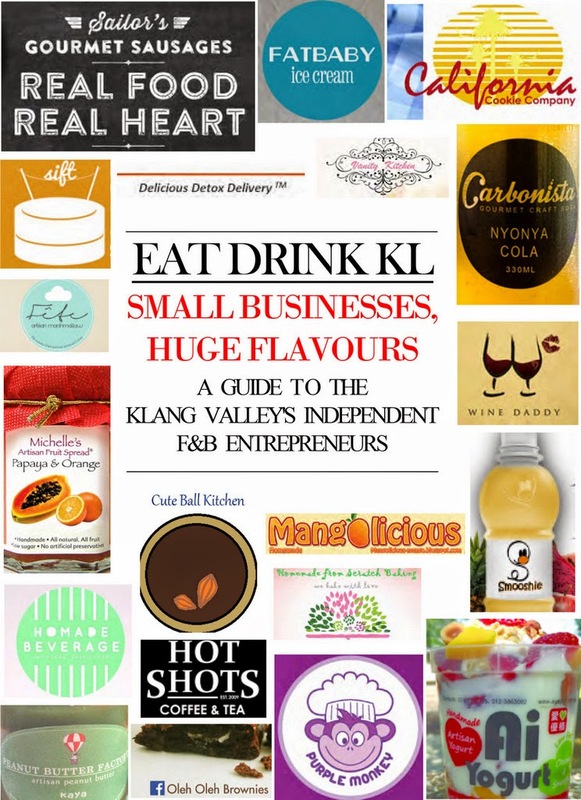 Eat Drink KL: Small Businesses, Huge Flavours is the first eBook to help customers navigate the diversity of independent F&B entrepreneurs who bake & boil in their own kitchens, offering some of Malaysia's finest, most fascinating food products. This is a catalogue of insights into what inspires our contemporary culinary craftspeople, from Elsie & her sister Jennifer's experiments with tong yuen at home to Eugene & Emrys' escapades with hand-crafted sodas in Tokyo. Pity the construction nearby spoils the view. 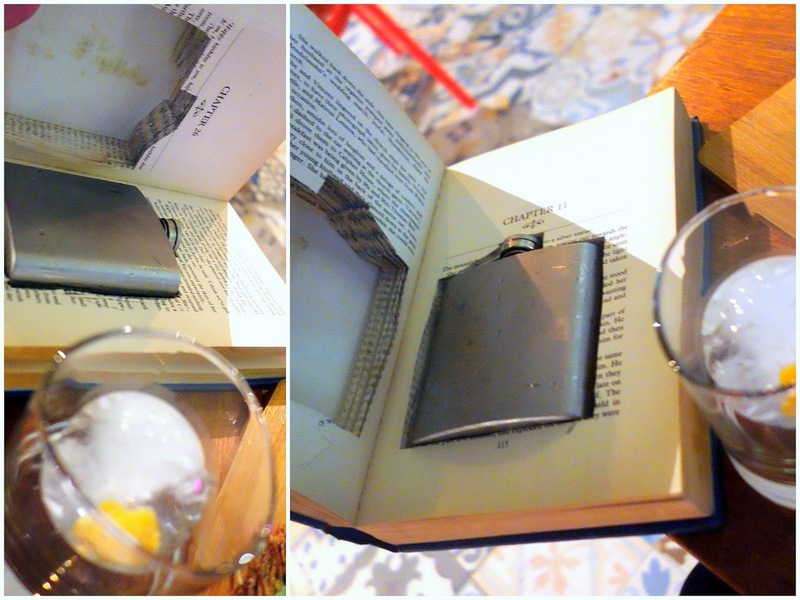 Interesting - the drink in a book - that sure brings the term bookworm to a whole new level. Muahahahahaha!!! I love Barbara Taylor Bradford. her novels are amazing! As for the food here I would actually pay to try out all these dishes! 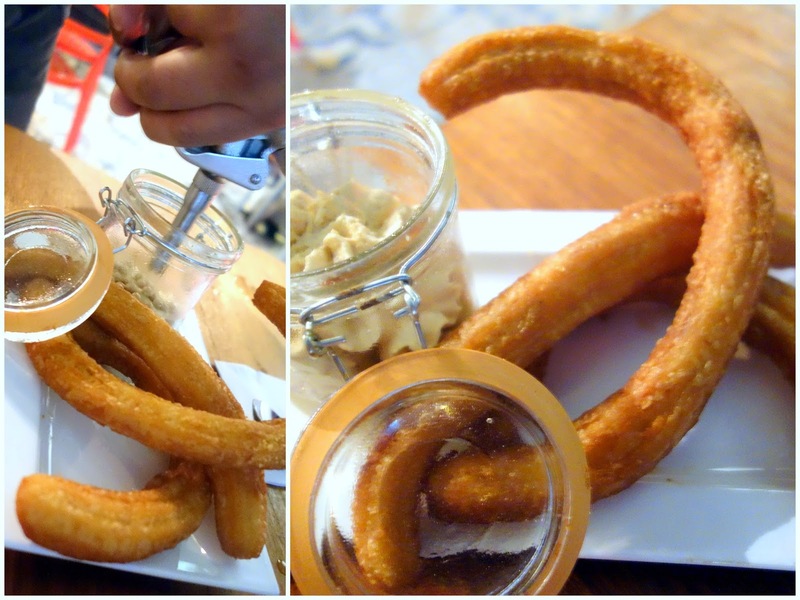 Looks interesting & CHURROS - I hope those were adeptly made - nt too doughy on the insides i hope? 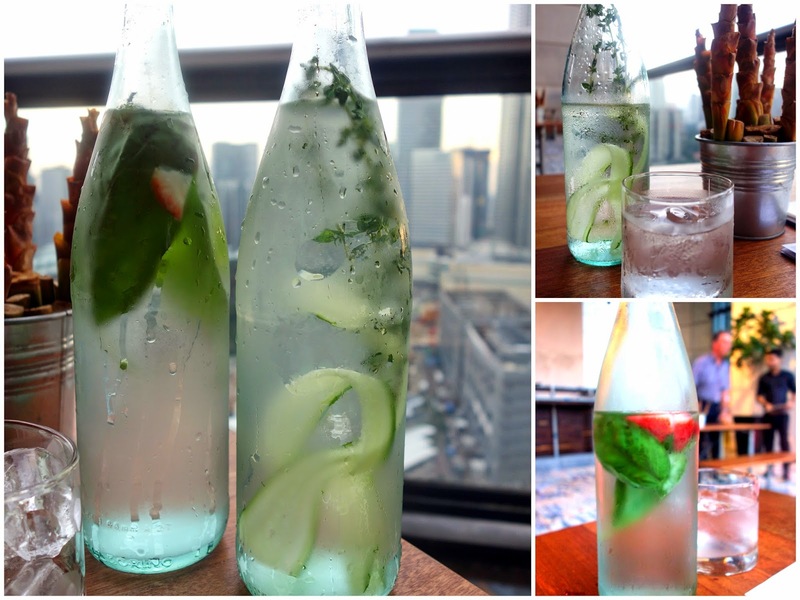 "The water here's laced with options of either cucumber & thyme or strawberry & basil. RM8++ per bottle..."
RM8 for a bottle of water with leaf and sliced fruits in it? Can Fuego be not so cheap and give their customers free "fruit/herb water" after their customers have already spend hundreds of ringgit on food & wine at this restaurant? In USA, restaurant-made water is free at even French Laundry. all these places and dishes are so pretty, so how do I go if I'm not pretty!? Veggie crisps that are served with the guacamole sounds interesting. The food here sounds really fun to eat and the decor is very industrial + neat, I like! Nice presentation of that smoked snails! At first I thought those are mushroom, hehe. Sometimes its fun to play with your food...looks like the team at Fuego are enjoying themselves! Love the idea of a guacamole chef...heaven!